This past week, other than the State Fair, it seemed like “Excusefest.” People who say they want big results and want to change are coming up with excuses and not being coachable. I’ll admit this is very frustrating for my coaches and myself. If people would just get out of their own way and follow the plan given to them, they would see the results they want. So I thought I would bring out one of my favorite stories: The 4th Best Moment of My Life – for all the people who make excuses as to why they can’t lose weight or find time to exercise. Other than my kids being born and my wedding day, the 4th best moment of my life happened back in October of 2005 when I saw my longtime friend and client Susan Peters achieve the victory she had worked so hard for. You see, Susan was in a car accident back in 1993. She was hit head-on by a snow plow and suffered major injuries to her body and brain. This immediately changed her life. She went from an active fit woman who loved riding horses, singing and working out, to a completely helpless and disabled person clinging on to her life. She endured years of intense rehab and saw her husband divorce her and try to take control of her money awarded to her from the accident to help cover her medical bills. In the year 2000, Susan showed up at the Northwest Athletic Club where I worked. She could barely talk and was slumped over in her wheelchair. Her mom did most of the talking but we agreed to give training a try since I had worked with people in a wheelchair before. Right away I knew something was different about Susan. She had an engaging smile and a great sense of humor. This was put to the test early on while she was on her way home from the club. She was driving her electric wheelchair to her apartment which was about 1/4 mile away from the club and she sneezed. This sent her wheelchair careening into the ditch where she ended up being stranded all night because she had such a low voice. No one heard her cries for help. Luckily it was a warmer part of the year and she was found the next morning. I was talking to her on the phone while she was in the ambulance and she started joking about her “campout.” That told me this woman was not going to feel sorry for herself! She was a fighter and had the attitude to walk again. So the training continued and slowly but surely we made progress. As she got stronger, she walked from trainer desk to the first aerobic studio (about 10 yards). Then to the second studio (about 50 yards). Then around the track (about 200 yards!) She was making real progress. Doctors said she would need the wheelchair the rest of her life but that was for the typical person who had suffered this type of injury. Susan was anything but typical. One day in 2004 she announced she wanted to do a 5K. Many of the other trainers and people said “that’s great” and smiled but I knew they were just humoring her and trying to be polite. They did not think she could do it. But I knew she could. So we set out to train. We started to walk outside to get her used to the conditions of a 5K race such as dealing with uneven pavement, hills and weather. Most of our walks were at Early Lake which was located near the gym. It was about 1.25 miles around and we mostly walked a half to 3/4 mile. One day I told her we were going around the whole lake. She was game so we set off to conquer the whole lake. It was a hot day and she did not do well in heat but we pushed through. Towards the end she wanted to quit. She has exhausted and her body was sore. She got angry and started cussing at me like a sailor. I made her finish and she collapsed into my car with a victory grin. It wasn’t pretty but we did it. It was a turning point. Even though she was tired, she had reached a new level of confidence. So we did something big and bold. We signed up for the Monster Dash – a 5K in Minneapolis around Lake Harriet. It was almost exactly a 5K all the way around. We dove into a well laid out plan of strength and balance training coupled with a walking regimen I had designed to build up her endurance. We also got more serious about her nutrition. She was an athlete so she needed to eat like one. As the race drew near, she was building momentum. Finally we got to a week away and we went to the race site, Lake Harriet, to prepare. But it was cold and windy and Susan was completely off kilter. I cut the walk off recognizing she was not doing well. I decided to have her spend the week recharging her body with chiropractic care, a massage and active rest. I called KARE 11 News to let them know Susan would be attempting to walk a 5K after being in a wheelchair. They assured me they would send someone to cover it. The night before my wife asked if I thought she would make it. I honestly didn’t know. But I knew Susan would give 100% and that was all that mattered. On race day we got up early and got Susan stretched out and warmed up. We headed down into the chaotic race scene and got to the starting line. I tried to have Susan rest as much as possible knowing she needed every bit of energy she had for this race. The gun went off and we started the walk. KARE 11 showed up and started following us. Susan being Susan, mugged for the cameras and talked a little good natured smack. She was killing it the first half of the race. It was the second half where the magic of this day kicked in. Susan started to wear down. But as she wore down, a crowd of people started to gather to cheer her on. She stumbled sometimes and I was there to catch her and keep the encouragement coming. The F bombs started to fly as her feet and knees started to ache. Her tank was nearing empty. But I kept pushing her. She was close! We could see the finish line. Step by step we made our way towards the cheering crowd. The Minneapolis Police had shown up for a Special Olympics event and set up a special finish line using police tape just for Susan. She inched closer and the crowd noise grew louder. As she crossed the line I raised her arm in victory. It had been a long journey but she finished! And I got to be part of it. I was still focused on getting her back to her car safely since she was spent. Then we went out for a victory meal with her family and friends. That night, the news came on and led with that story. When I watched after the day had calmed down, I broke down crying knowing I had been part of something amazing. I will never forget that for the rest of my life. 1. When you have a clear goal and purpose nothing can stop you. 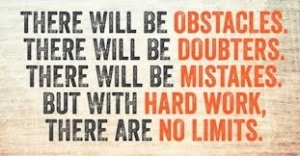 Despite setbacks you will get there. 2. Everyone who has big goals needs a coach who can give them a plan as well as keep them accountable and encourage them along the way. 3. No matter how “tough” your life is you can always come back from it. You can watch the Kare 11 story by clicking here. (scroll down for 2005 video of race day). If Susan Peters can walk after 10 plus years in a wheelchair, I think you can find time to get to the gym and eat better. No more excuses. P.S. If you are in a summer funk and are ready to get out, we still have room for 7 more people to join our Labor Day Lean Out Challenge. We are collaborating with other midwest fitness professionals to get 1,000 people in shape by the end of October. 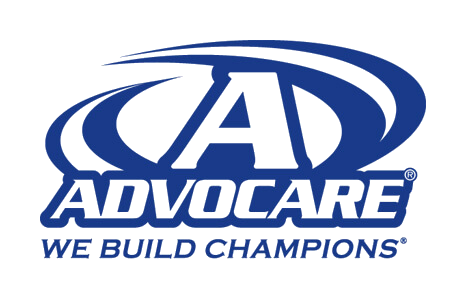 The only requirement to be a part of this challenge is to use 2 Advocare products with your nutrition plan throughout the 8 weeks. You will get done-for-you exercise and nutrition plans as well as accountability and coaching which we all need to be our best. Go here to check it out and register. If you register we are team Tryon. Please let us know if you sign up.